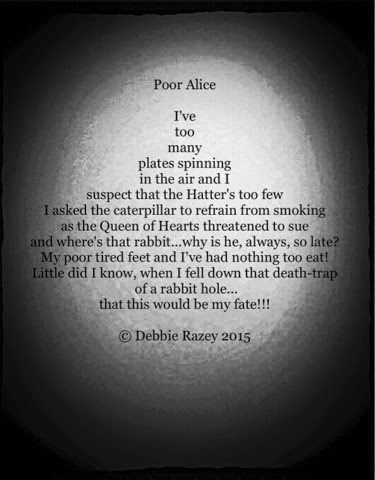 as the Queen of Hearts threatened to sue and where's that rabbit...why is he always so late? My poor tired feet and I've had nothing to eat!! Little did I know when I fell down that death-trap of a rabbit hole... that this would be my fate!